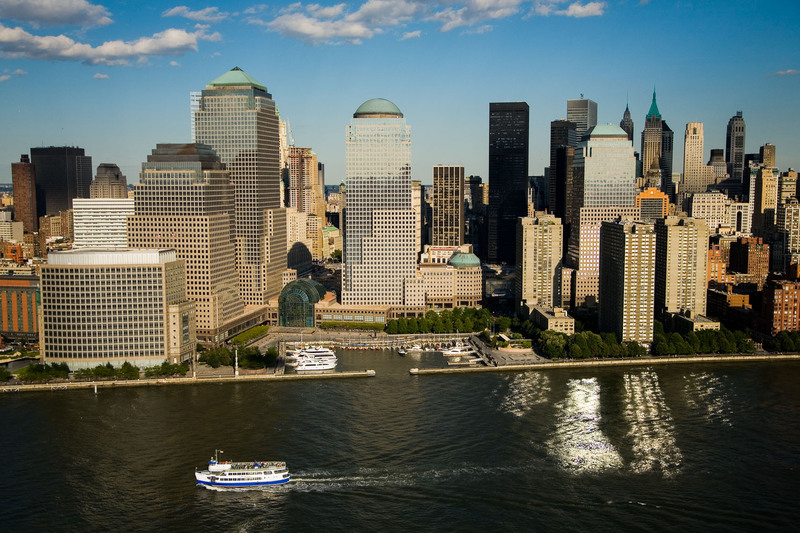 The distinctive copper roof tops of the four World Financial Center Towers include a dome, a solid pyramid, a cut pyramid and a stepped pyramid. Though heavily damaged in the September 11, 2001 attacks, the center under went extensive renovation and reopened in 2002. Manhattan, New York City.